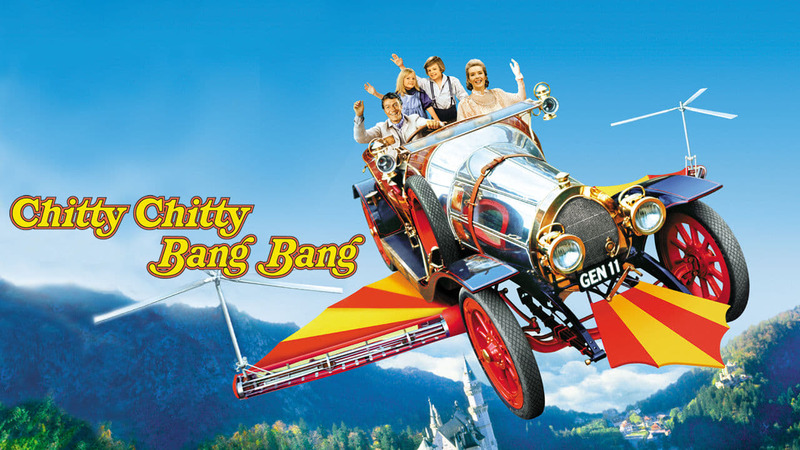 Silly, I know, but Chitty Chitty Bang Bang (1968) is not recognized. It seems everything else is working as expected. Not sure how to proceed. Sorry but going to need more information. Had no issues parsing a file with that name. 6:40 PM :: themoviedb.org: fetching cast/crew "Sally Ann Howes"
6:40 PM :: themoviedb.org: fetching cast/crew "Lionel Jeffries"
6:40 PM :: themoviedb.org: fetching cast/crew "Benny Hill"
6:40 PM :: themoviedb.org: fetching cast/crew "James Robertson Justice"
6:40 PM :: themoviedb.org: fetching cast/crew "Robert Helpmann"
6:40 PM :: themoviedb.org: fetching cast/crew "Davy Kaye"
6:40 PM :: themoviedb.org: fetching cast/crew "Alexander Doré"
6:40 PM :: themoviedb.org: fetching cast/crew "Bernard Spear"
6:40 PM :: themoviedb.org: fetching cast/crew "Heather Ripley"
6:40 PM :: themoviedb.org: fetching cast/crew "Adrian Hall"
6:40 PM :: themoviedb.org: fetching cast/crew "Victor Maddern"
6:40 PM :: themoviedb.org: fetching cast/crew "Larry Taylor"
9:35 AM :: MCM: The file is not named in a way I understand. If this is a T.V. episode and you have a scan folder set up for it, then you may want to add a T.V. detection override settings to manually map a series description to its ID. Can you post your Support Information. Tested again with purely download parser as the last test was a drag n drop. Does debug loggin show more information? Does the same happen if you drag n drop the file into MCM UI? Same results with drag and and drop process. The following is with regular download processing. 7:24 PM :: MCM: The file is not named in a way I understand. If this is a T.V. episode and you have a scan folder set up for it, then you may want to add a T.V. detection override settings to manually map a series description to its ID. Do you by chance have mode override detection enabled? Can't remember the support info string. I several TV Series added to the TV Series detection over ride....did not know there was an over ride for movies. Where is that setting located?? No TV series detection overrides a different feature. Mode override detection tell MCM to only fetch in that mode so all movies could be fetched as tv (as your log only shows a search from tvdb). Only worry about if override is enabled or not. The over ride was not enabled and enabling does not get the movie scanned. BTW....thanks for you help. I would have simply given up long before now. Well....MCM suddenly recognized the movie and added to my collection. I did not make any changes to MCM. So I guess the issues is resolved.